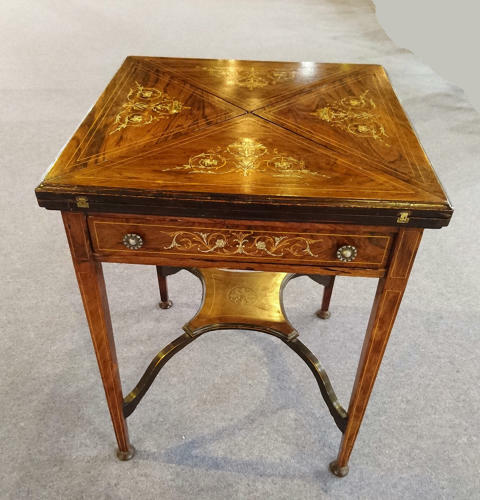 Edwardian rosewood envelope card table, circa 1915, English. The card table is opened by rotating the top which makes one of the triangular pieces rise in the middle of the table, so enablling the four peices to be opened. The top is veneered with contrasted woods and inlaid floral wood marquetry.